You will feel immediately at ease with Maureen Higgins. Warm and friendly and down to earth you'll know you are in good hands. Backed by her years of experience and up to date knowledge of the area's Real Estate market, Maureen will promote the sale of your home and bring you only qualified buyers. As that Buyer, she will work hard to find the perfect home to match the needs of your household. On a more personal note......... Maureen enjoys spending time with her family and friends, maybe a little "garage sale browsing" or fashioning some cute crafts. She is always ready to offer a helping hand and a friendly smile. 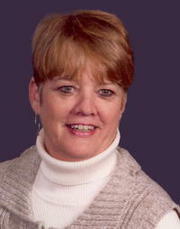 With Maureen Higgins you will definitely find an excellent Realtor and you will probably end up with a new friend!